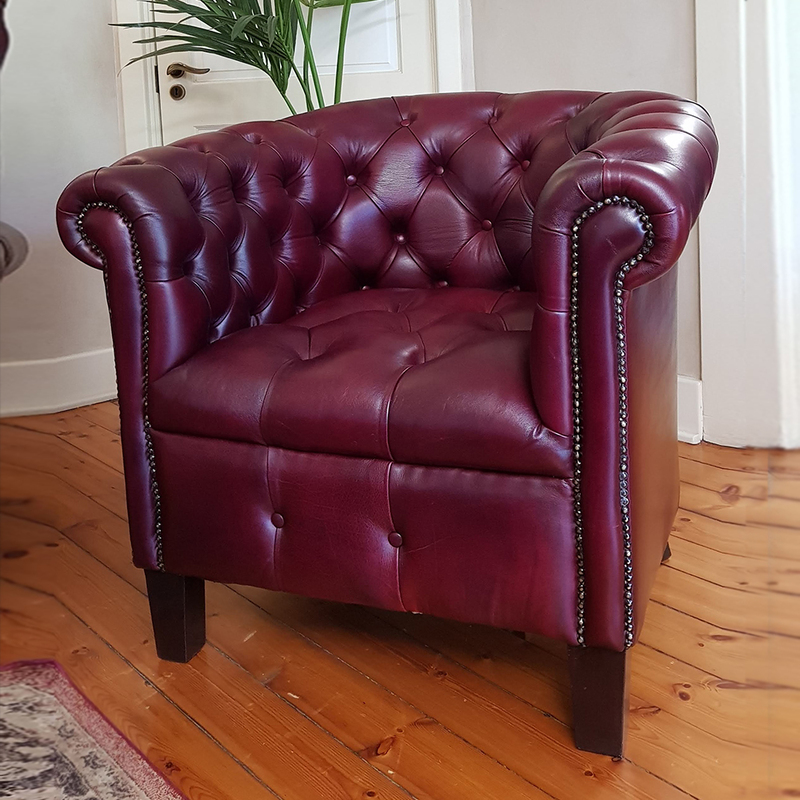 The Spencer Tub Chair is hand-crafted in 100% genuine leather. This unique tub chair is dressed in our Born Signature Born Beautiful Red Leather. The Spencer Tub is hand-crafted in 100% genuine leather.